A biblical commentary of Isaiah 17. Approximately 2750 years ago, the Hebrew prophet Isaiah predicted that the Syrian capital city of Damascus would someday cease to exist. Isaiah, whose prophetic ministry spanned between 740 – 701 BC declared that it would be reduced to rubble. Some scholars believe this prophecy found fulfillment around 732 BC, shortly after Isaiah presaged it, when the Assyrians conquered Aram. Aram was the ancient name for much of modern day Syria. But if it was fulfilled then, why did Jeremiah predict a similar scenario over a century later? And, why did Isaiah mention Assyria 37 times throughout his 66 chapters, but never once mention it in Isaiah 17. For instance Isaiah 8:3-7 clearly identifies an Assyrian conquest of Damascus. This found fulfillment in Isaiah’s lifetime, but Damascus still exists today. Furthermore the article below points out that Israel seemingly downs Damascus and that it appears to be an overnight destruction. The relevant passages concerning the future of Damascus are located in Isaiah 17:1-14 and Jeremiah 49:23-27. 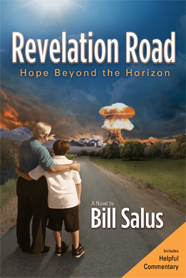 Below are a few excerpts covering the topic from my book called Revelation Road, Hope Beyond the Horizon. The book presents an exhaustive verse-by-verse commentary on Isaiah 17 and most of Jeremiah 49. Due to the extensive length of the commentary only portions are inserted in this article, and the endnotes can be ascertained within the book. Since Damascus survives today as Syria’s second most populated city behind Aleppo, it demonstrates that Damascus never entirely ceased to exist. Therefore, if Isaiah intended his prophecy to be interpreted literally, it remains an unfulfilled prophecy. ISAIAH 17 - THE BURDEN AGAINST DAMASCUS. These first two verses of Isaiah 17 inform us that Damascus is destined for destruction, causing it to cease from being a city. Additionally other cities “of Aroer” are adversely affected, causing them to be “forsaken.” The Hebrew word used for forsaken is azab, and means abandoned, withdrawn, left behind, released, or neglected. Since these cities eventually become agriculturally zoned “for flocks,” the best understanding is probably that the destruction of Damascus necessitates the withdrawal of the surrounding city populations, which ultimately leads to their release and rezoning. Whichever government is sovereign over this area at that time, will reevaluate the highest and best use of the territory to be agricultural. Parson’s Bible Atlas lists three possibilities for Aroer: Aroer Judah, Aroer Sihon, and Aroer Gad. Of the three Aroer Gad becomes the likely option, because it was located nearest to Damascus. Amman, Jordan is within the area of ancient Aroer Gad, and is where most Jordanians live today. 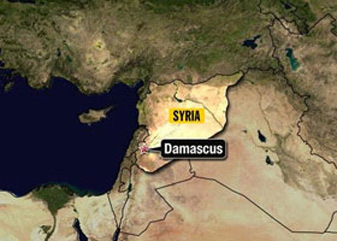 Damascus is located in southern Syria, and the Jordanian capital of Amman is in northern Jordan. Only 109 miles separates the two Arab capitals. Aroer Gad was part of the tribal territory of Gad. Numbers 32 informs us that the tribe of Gad was generally agriculturalists and as such, Gad requested this territory because it was suitable for his sizable flocks. Thus, the destruction of Damascus apparently spills over into northern Jordan, and probably finds a prophetic connection with Jeremiah 49:1-2. If it does, this may suggest that Israel is responsible for the destruction of Damascus. The sequence of events could be as follows. Damascus and Rabbah, (Amman) are destroyed, probably in the same war effort. In the aftermath, Israel takes possession of northern Jordan including ancient Aroer, and rezones much it for agricultural purposes. Ammon is a participant in the Psalm 83:6-8 Arab confederacy. Thus, “the alarm of war” in question could possibly be the Psalm 83 war. If this is so, then the destruction of Isaiah’s Damascus and Jeremiah’s Rabbah are probably closely related Psalm 83 events. Assyria, which comprised part of modern day northern Syria when Psalm 83 was written, is also part of the Arab confederacy. Therefore a dual fulfillment of the prophecy, which commonly occurs in Bible prophecy, may be forthcoming. What Isaiah could be warning about is that strongholds in northern Israel (Ephraim) will become war-torn at the time of Damascus’s destruction. The Syrian refugees (remnant) thereby, become captured by the IDF (children of Israel). Isaiah 17:9 discussed below suggests Israel is responsible for the downing of Damascus. Isaiah concludes verse 3 by informing us; even though Damascus will cease to exist, a remnant of Syrians still survive. • The Syrian remnant becomes subservient to the glory of the children of Israel (v. 3). If so, then at the time all the above occurs, Isaiah 17:4-6 finds fulfillment. These verses picture Israel in an undesirable condition, suggesting the Jewish nation comes under attack at that time. Some believe these verses occur at the time of Armageddon, because Israel will suffer severely at that time. The problem with aligning the “in that day,” with Armageddon at the end of the tribulation period is that verse nine clues us otherwise. Isaiah 17:9 informs us that the cities that become forsaken are abandoned because of the Jews. Any cities abandoned during the campaign of Armageddon will be abandoned because of the Antichrist’s war related activities, not Israel’s. In conjunction with Israel’s suffering, Isaiah 17:4-6 mentions terms, idioms, and locations, like heads of grain, Valley of Rephaim, gleaning grapes, olive tree, olives, uppermost bough, and fruitful branches. These usages suggest there will be casualties in Israel. The Valley of Rephaim, is located in Israel, and is now called el-Bukei’a. This valley was the site of two historic wars the Israelites successfully waged under King David against their arch enemy the Philistines. Coincidentally, Philistia is listed in Psalm 83. Perhaps Isaiah is telling us that, like David defeated the Philistines in the Valley of Rephaim, so will a lean and waning war-torn Israel bring about the destruction of Damascus before or during the Psalm 83 war episode. But, Jewish genocide will be averted as Jews will survive in northern Israel (uppermost bough), and even more will survive in the more populated cities (fruitful branches). In this verse Damascus is personified by the pronoun “his.” In that day, that destruction of Damascus and “his” strong cities (of Aroer, v. 2) are forsaken; it will be a scene of “desolation.” At the time Damascus meets its doom, it is characterized by “strong cities” about it. It is not a picture of weakness, but of a militarily strong Syria. These passages point to Syria assembled amongst a multitude of mighty waters that are rushing like roaring seas. This suggests that Syria, represented by Damascus, comes against Israel forcefully in a confederate effort with other nations. Seas typically represent the Gentile nations, and in this instance they are noisily roaring and rushing like mighty waters. This pictures a massive military invasion. We can safely assume this invasion is targeted at Israel, because verse 9 implies that Israel retaliates. The fact that they come against Israel evidences they have forgotten the “God of their salvation.” The God of Israel is the God of salvation. Isaiah says the war campaign results in a “heap of ruins,” and characterizes the whole episode as a “day of grief and desperate sorrow.” Isaiah 17:13 seems to connect with Psalm 83:13-15. In Psalm 83, Asaph petitions the Lord to do what Isaiah 17:13 says occurs to this confederacy. This implies that the destruction of Damascus and desolation of the surrounding cities could be related in some way to the Psalm 83 scenario. These seemingly connecting portions of scripture both use the same six Hebrew words of galgal, paniym, ruach, har, radaph, and suphah, as comparatively highlighted below. If this is the case, then the nations that rush mightily like many waters are possibly the Psalm 83:6-8 Arab States. If the destruction of Damascus occurs in a related Psalm 83 event, this would help explain why Syria, under the banners of either Aram or Assyria, doesn’t appear listed in the Ezekiel 38:1-6 coalition of Magog invaders. For the above reasons, and several others pointed out in this section of Revelation Road commentary, it is reasonable to presume that the destruction of Damascus and the desolation of the surrounding strong cities, finds a correlation to the events prophesied in Psalm 83. Isaiah concludes his oracle against Damascus by describing the length of time it takes for the city to become reduced to rubble. Overnight, this historic city is destroyed. One evening Damascus flourishes, but by the next morning it’s obliterated. This apparently occurs as the penalty portion of Genesis 12:3. Syria’s capital city is reduced to ruins, because Syrians attempted to plunder Israel, probably in Psalm 83. It is a curse-for-curse-in-kind disciplinary duty, outlined in the Lord’s Gentile foreign policy of Genesis 12:3. The bottom line of Isaiah 17 relevant to these present times, is that it could issue a stern modern day warning that Damascus can presently be destroyed overnight by the weapons technologies Israel presently possesses. Unless Syria changes its hateful disposition toward the nation of Israel soon, humanity could wake up one nearby morning to a flood of Syrian refugees exiting out of the Damascus rubble. For more details about Bible prophecies predicting the future of the Middle East and America, read Revelation Road, available HERE.